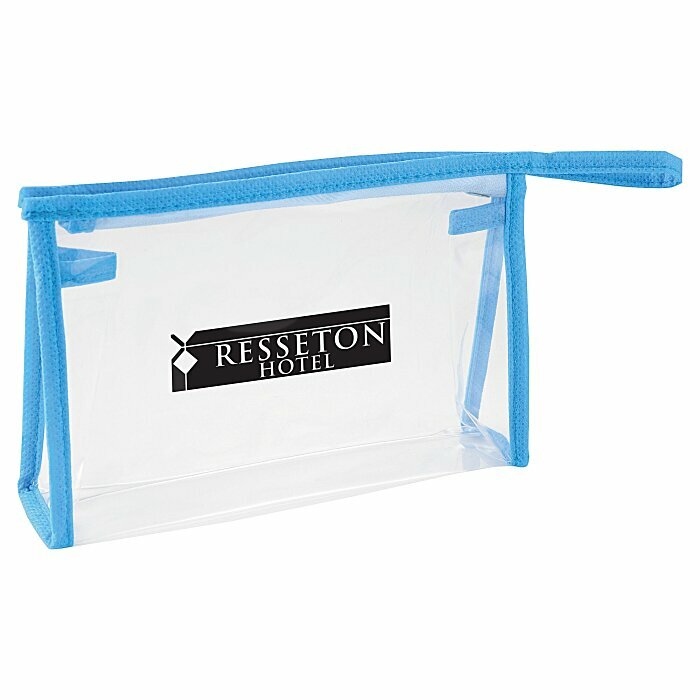 Bring along only what you need in this customized case! 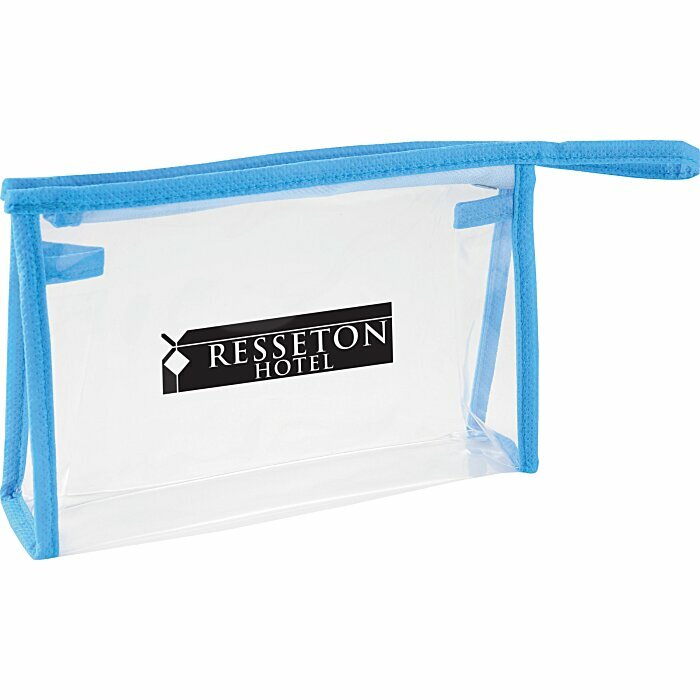 This pouch is the perfect size to hold toiletries, beauty supplies or other small materials. 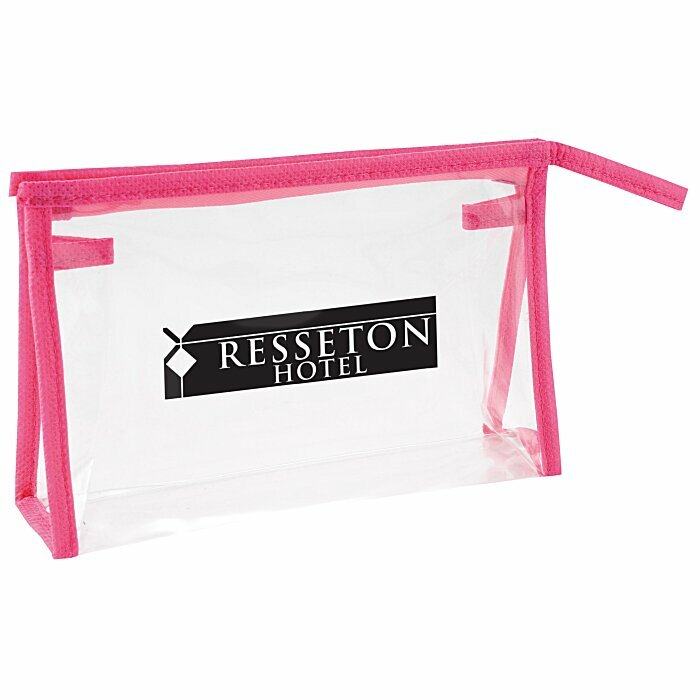 You can find things easily in the main compartment with its clear plastic construction. 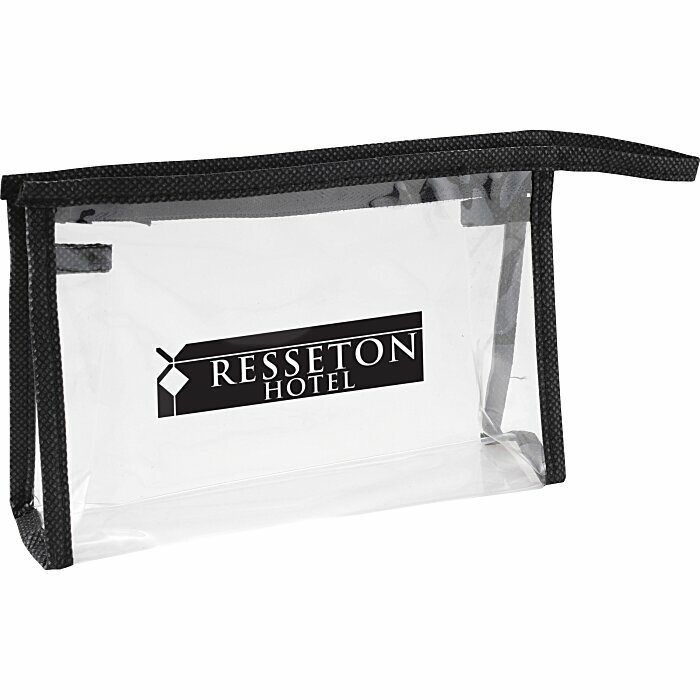 The zippered closure secures items for transport in a backpack, purse, suitcase or other carrier. Available with one of your choice of several fashionable accent stripe colors to suit your image. Size: 4" x 6-3/8" x 1-1/2".